It is with great enthusiasm for the organising committee of the 11th Asian Pacific Orthodontic Conference (APOC 2018) to welcome Philippine Airlines (PAL), the national carrier of Philippine to be official partner carrier of the event. Founded in 1941, PAL is the first and oldest commercial airline in Asia operating under its original name with its hub of operations in Manila, Cebu, Clark, Kalibo and Davao. As the first Philippine-based carrier certified safe by the International Air Transport Association (IATA) and the only airline with Business Class in domestic service, PAL’s expansive international route network extends as far as New York in the east and London in the west, servicing 43 international and 30 domestic destinations. All official participants such as Exhibitors, Delegates, Speakers, VIP and Committee Members of the 11th Asia Pacific Orthodontic Conference (APOC 2018) are entitled to enjoy exclusive booking deals for both international and domestic routes. Note: Discounted Rates are available for Bookings Made Online and via all Philippine Airlines’ Official Box Offices and Counters. Note: If you come from a country not listed above, please email the Conference Secretariat at apoc2018@kenes.com for special booking arrangement. No show for all fare brands shall apply. Applicable free baggage allowance and mileage accrual shall apply. No other discounts shall apply. The organiser STRONGLY ENCOURAGE all participants to book their flights to Caticlan Airport instead of Kalibo Airport for a shorter transfer time. To reach Boracay Island, participants are required to take a 15min ferry ride from the ferry terminal which is of 5min driving distance from Caticlan Airport and 2hr driving distance from Kalibo Airport. The organiser STRONGLY ENCOURAGE all participants who had booked their flights through Philippine Airlines (PAL) to send a copy of their Flight Confirmation Letter to the Conference Secretariat at apoc2018@kenes.com to enjoy faster check-in process. APOC 2018 Dedicated Check-In Counters at the airport will be available for higher volume of check-in. Please visit the PAL concierge service at the airport if you require any assistance dedicated for the participants of APOC 2018. The organiser STRONGLY ENCOURAGE all international participants to book their flight tickets through Philippine Airlines (PAL) for an easy transfer process. At Manila, the international arrival terminal dedicated for PAL is a 5-10min walk away from the domestic terminal for the onward flight to Boracay. The arrival terminal for all other international airlines to Manila is at least an One Hour driving distance to the domestic terminal. 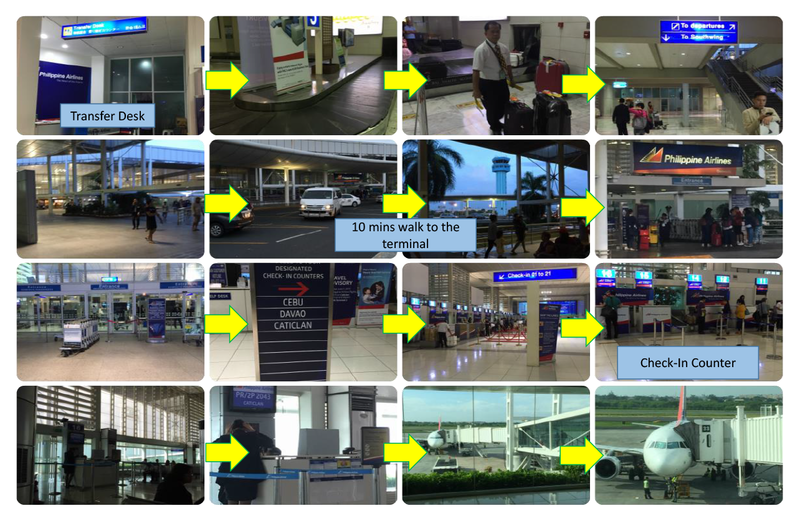 Please see the image of step-by-step transfer from Manila Ninoy Aquino International Airport, Terminal 2 to the Domestic Terminal which includes the Concierge Help-Desk. Note: It is a 5-10 mins walk from Manila Ninoy Aquino International Airport, Terminal 2 to the Domestic Terminal. First 500 Bookings made using APOC 2018 dedicated Promo Code will Receive a Complimentary Souvenir from Philippine Airlines based on first-come-first-serve basis! Stay Tune!